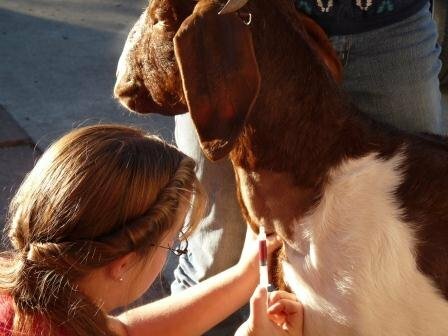 This test offers a safe, accurate, and easy alternative for confirming pregnancy in goats. BioPRYN measures the presence of Pregnancy-Specific Protein B (PSPB), a protein only produced by the placenta of a growing fetus, in the blood circulation of the doe. A doe can be tested for pregnancy at 30 days or later post breeding or buck removal. BioPRYN is a useful technology for the reproductive management of meat and dairy goat herds. In addition to being safe, accurate and easy to use, BioPRYN is supported by industry experts educated in integrating the test to improve reproduction programs.